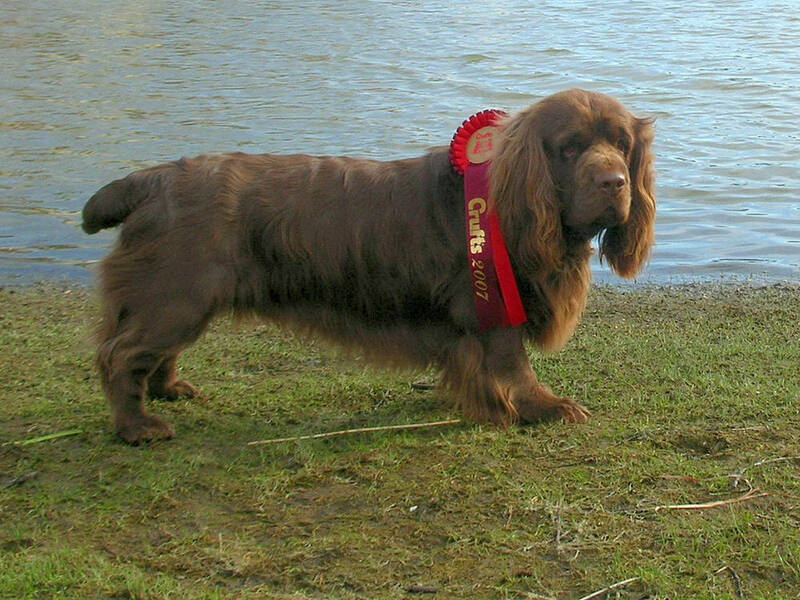 Of all the spaniels, the Sussex Spaniel is the shortest of leg and heaviest of bone, and is built to penetrate dense groundcover. The skull is long and wide, featuring a full stop and indentation in the middle, and is flanked by large, low set ears. 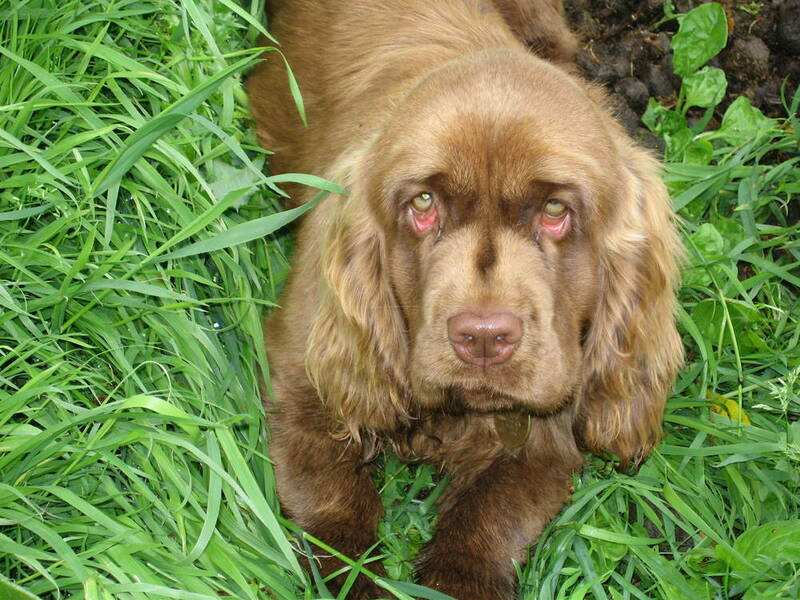 Fairly large, hazel colored eyes are topped with a heavy brow that gives the dog a serious, almost frowning expression. The muzzle is short and wide, with pendulous lips and a scissors bite. The body is low, long, heavy and wide; this, combined with short legs, produces a deliberate and rolling gait conveying power over grace. The tail is docked to between five and seven inches in length, and is carried level. 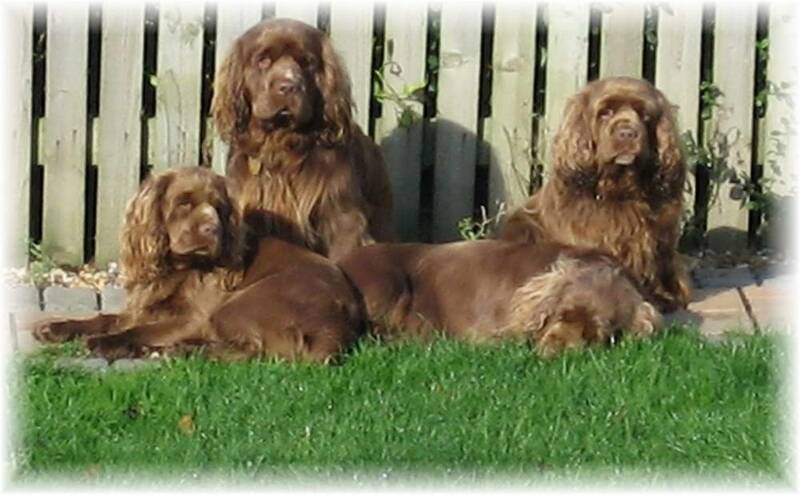 The Sussex Spaniels abundant coat is slightly wavy or flat, with feathering on the legs, tail and between the feet. Coloration is always a rich, golden liver throughout. 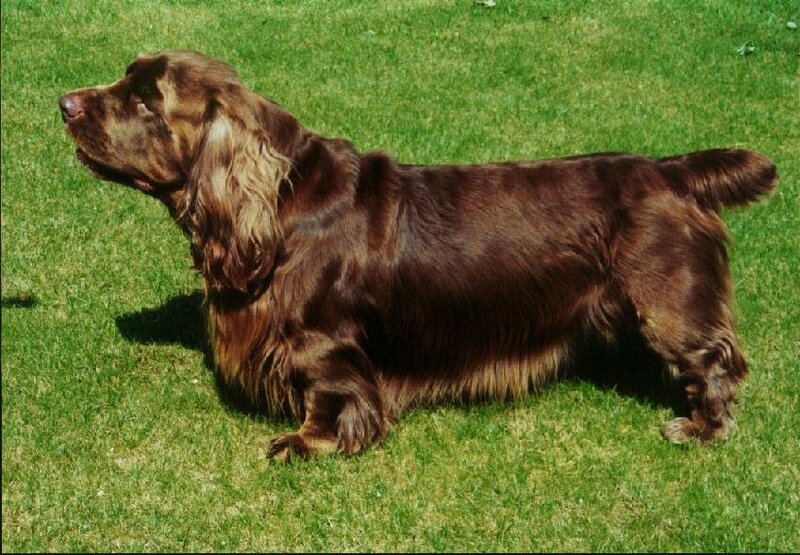 Height (Male) 13 - 15"
Common Misspellings Susex Spaniel, Sussix Spaniel, or Sussecks Spaniel. 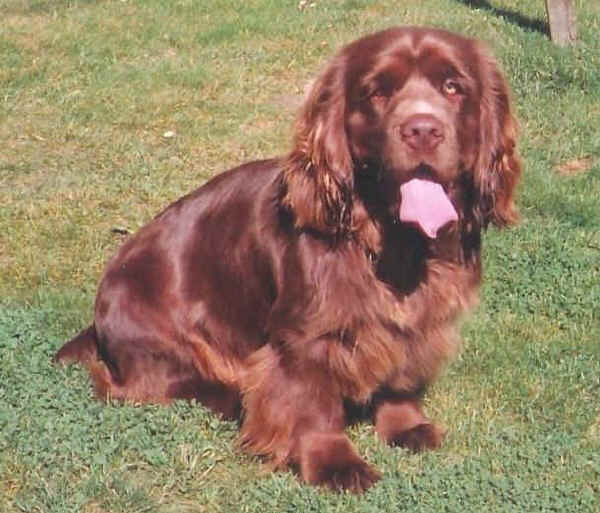 Neither rambunctious nor sedentary, the Sussex Spaniel is equally happy playing or hunting as it is cuddling up on the couch with a cherished family member. This dog is very affectionate and forms deep bonds with its family during puppyhood that are never broken. 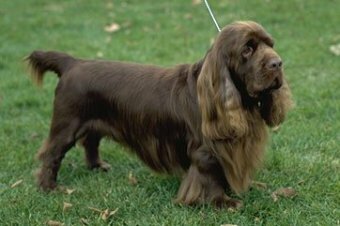 Sussex Spaniel owners are sure to get compliments from other pet owners on this dogs superb manners with strangers, dogs, cats and children, and dont be surprised if you get a curious question or two since most Americans are so unfamiliar with this breed. 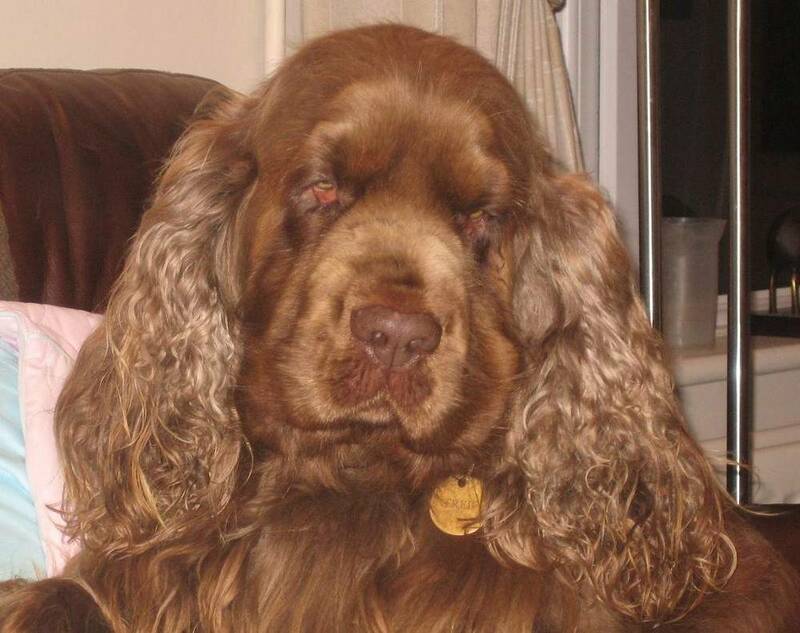 Many describe the dogs facial expression as frowning, but the Sussex Spaniels temperament is actually quite cheerful and outgoing, a fact to which his ever wagging tail pays tribute. This dog is better suited to apartment life than most Sporting breeds, but access to a yard is always preferable. 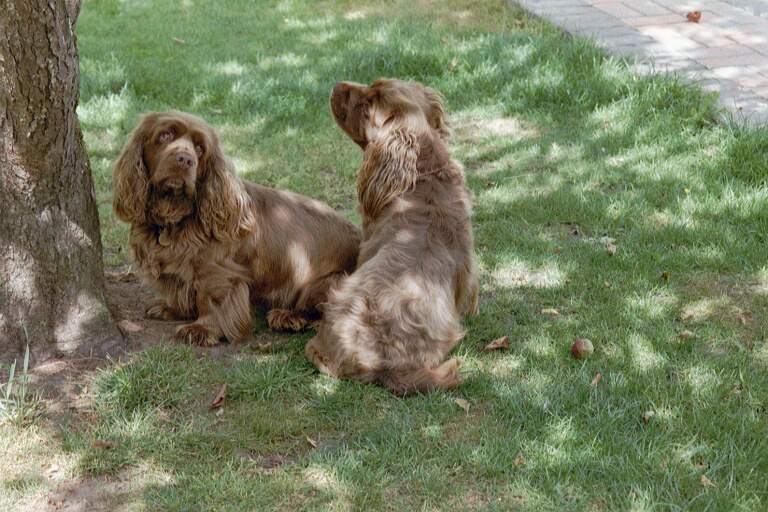 Sussex Spaniels should not have to live outside, since they are an affectionate and doting breed that thrives on human interaction. 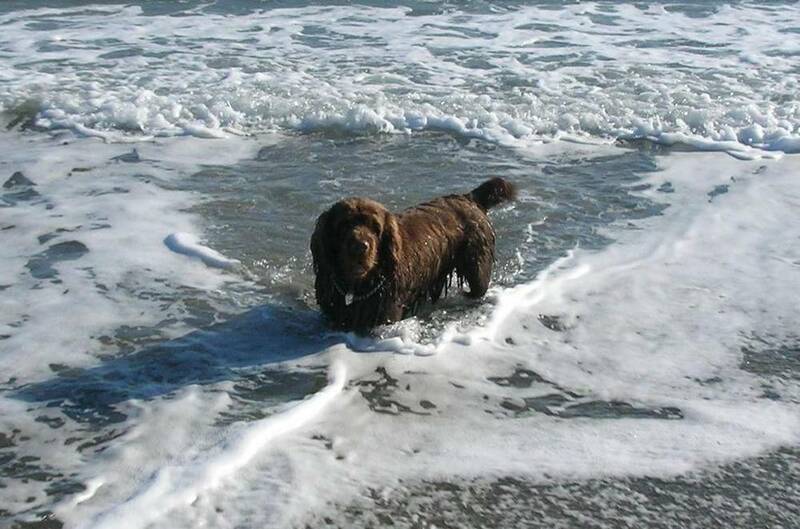 Monitor the dogs diet carefully and watch that it does not become overweight. Coat care involves a good brushing every couple days. 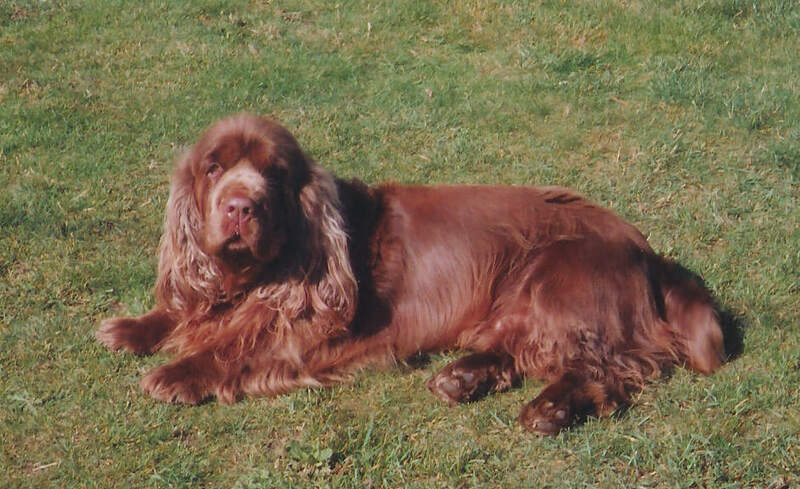 Health concerns for the Sussex Spaniel include canine hip dysplasia, intervertebral disk disease, otitis externa and heart problems. 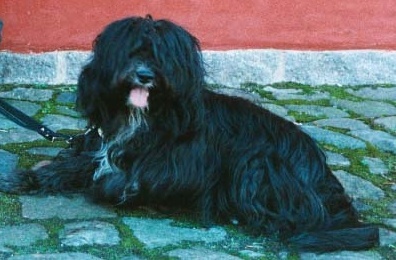 The dog originated in Sussex County, England late in the 18th century where it was popular as a slow-moving and methodical working dog with a good nose, capable of bird flushing as well as retrieving. This popularity was short lived, however, and by the early 20th century tastes had clearly moved toward swift and agile sporting dogs, especially in America. 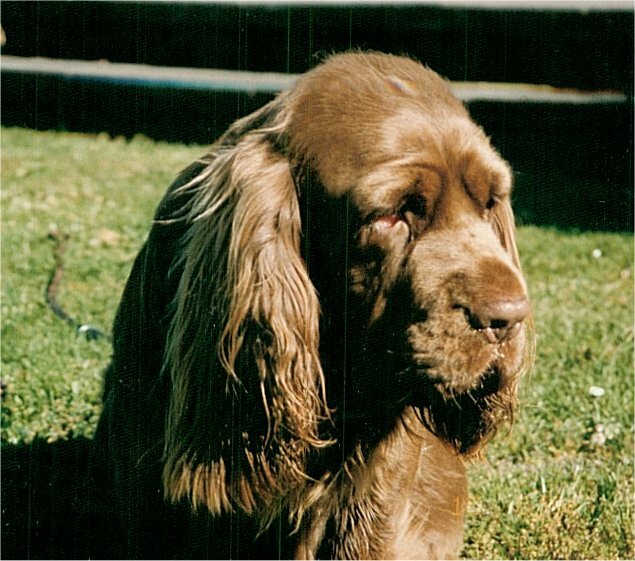 Though the breeds future was fairly secure in its native England, numbers had dropped so low in the Untied States by 1954 that crosses with the Clumber Spaniel were necessary to ensure its continuation. 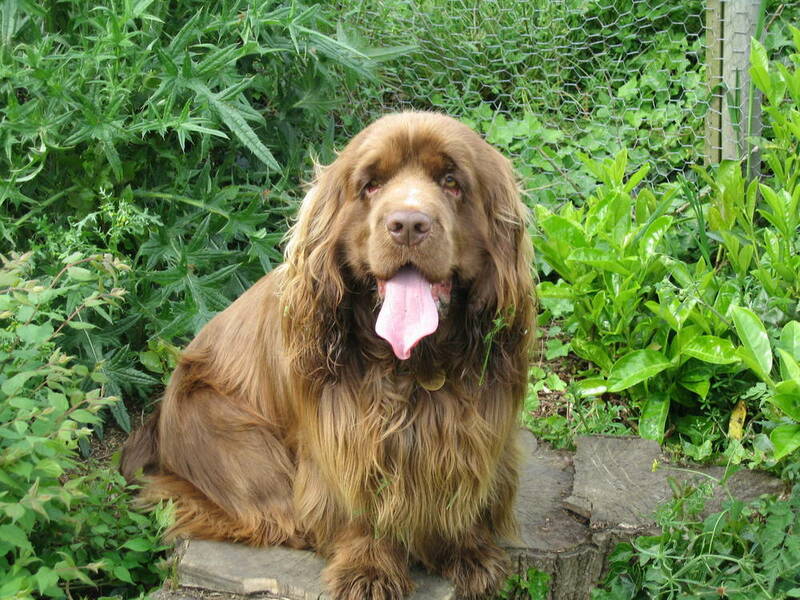 The Sussex Spaniel still struggles to amass much of a following today.